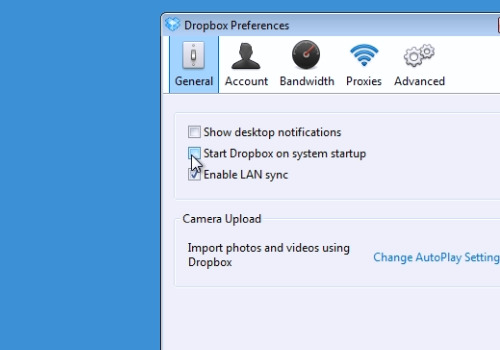 In this video tutorial we will show you how to run dropbox as a windows service. Open your web browser and go to “coretechnologies.com”. On the following web page, select “AlwaysUp”. 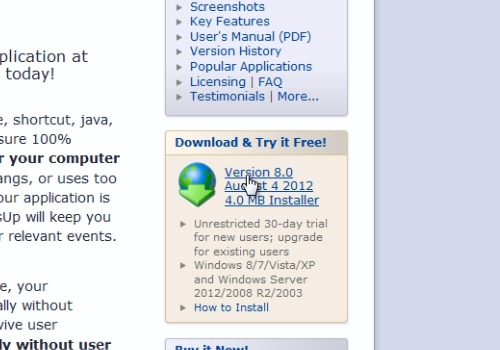 On the next web page, click the download link on the right. Save the file on your hard drive. Double-click to run the downloaded installation file. Follow the installation instructions, accept the license agreement and choose a destination to install the program. Press “install”. When the installation process is finished, uncheck “Start AlwaysUp” and press “Finish”. Right-click on the Dropbox icon and choose “Preferences”. In the “general” tab uncheck the “Show desktop notifications” and “Start Dropbox on system startup” options. Right-click on the Dropbox icon and choose “Exit”. Start the “AlwaysUp” program from the desktop. Go to the “Application” tab and choose “Add”. Right-click on the “Dropbox” shortcut and choose “properties”. Copy the “Target location”. In the “Application” line, “Paste” the address. In the “Arguments” line type “/home”. Click on the “Name” line and it will be automatically filled. Go to the “Logon” tab and check the “Instead of running the application in the Local System Account” option. Type-in the administrator “User name” and “Password”. Go to the “Startup” tab and check the “Ensure that the Windows networking components have started” option. Click “Save”. In a few moments you will see the created application. To run the application, press “Start “Dropbox””. In a few seconds the application will be started. Now your dropbox will run as a Windows service.